Nobody likes to hand dirty in the sewage water and so it is important to resolve the blocked drains problem as soon as you start seeing some signs of it. If you ignore the problem and procrastinate resolving the issue then you might end up in a bigger trouble. If you ignore it then this might even result in the explosion of the indoor drains. If the main pipeline is damaged then it might even cause problem in the outdoors of your home. 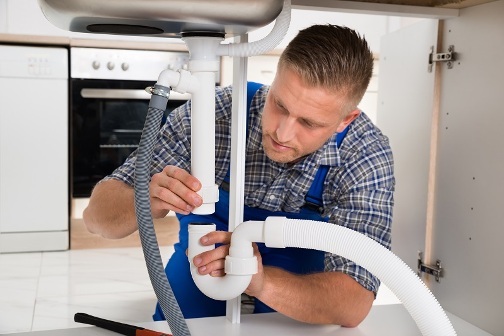 The most common causes of blocked drains are the amassing of dirt, debris and fats. This happens very easily because these waste products flow through your pipe and some of them get stuck to the sewage pipe from inside. As the time goes more other alien products get stuck to it and these results in blockage. In some of the cases the tree roots have also been responsible to cause blocked drains and this is most because the roots grow in a round fashion. However, if a partial blockage has occurred then you can hear gurgling noise and this will be a good indication to take the necessary actions at this stage. When you take proper measures at this time you are able to prevent major blockages and also save a lot of money required to tackle these in a later stage. It is rightly said that prevention is better than a cure, as this is true in every area of life. One of the important things to remember in this regard is to remember and flush the drainage system with cold water. The cold water solidifies the grease and this prevents it from sticking to the pipes. So after your garbage disposal make sure to flush with the cold water. Another important thing to remember is to stay away from draining the coffee grounds in the drainage system as these get stuck and might be a potential blockage. Make sure that products that might stick inside the pipe are disposed off carefully in the trash bags and then disposed. With the advent of technology now it is possible to identify the exact location of the blocked drains with the help of CCTV camera for blocked drains. These are specifically designed for blocked drains and are used by the plumbers to identify the location and then provide solution. These are used in places where it is not possible for the person to have a physical access so easily. For example, if there is a crack on a pipe under the road due to the frequent movement of heavy vehicles the CCTV camera is sent to identify the exact leak location and then an effective solution is provided. It gives the accurate information for the plumber and helps him understand where exactly to carry out the digging work. This method helps in finding out even the minor problems and as a result prevents from major problems. The above mentioned are some of the practical methods of blocked drains prevention that are used around the globe and help in effectively resolve your blocked drains issue.